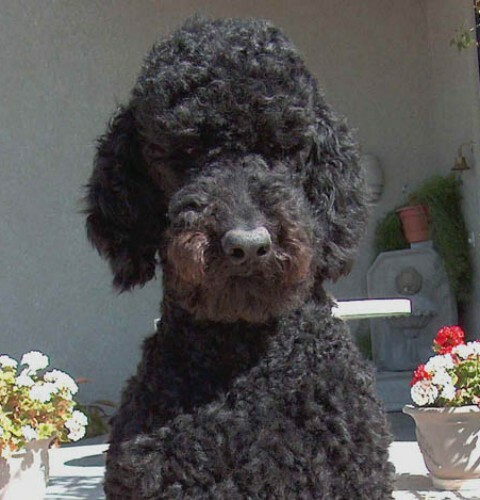 Lucas was a black standard poodle who was a friend of Garrett and Coco. Lucas was born in July 2004 and passed away in 2015. He was a rescue dog from Arizona Poodle Rescue. He was found wandering along Interstate 10 in Phoenix with no ID. 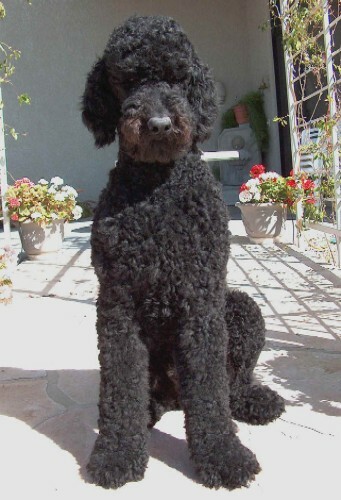 He was given to the West Side pound and they realized that he was a pure bred and sent him to Arizona Poodle Rescue. He had a happy forever home with our friends Dom and Chuck here in Tucson. 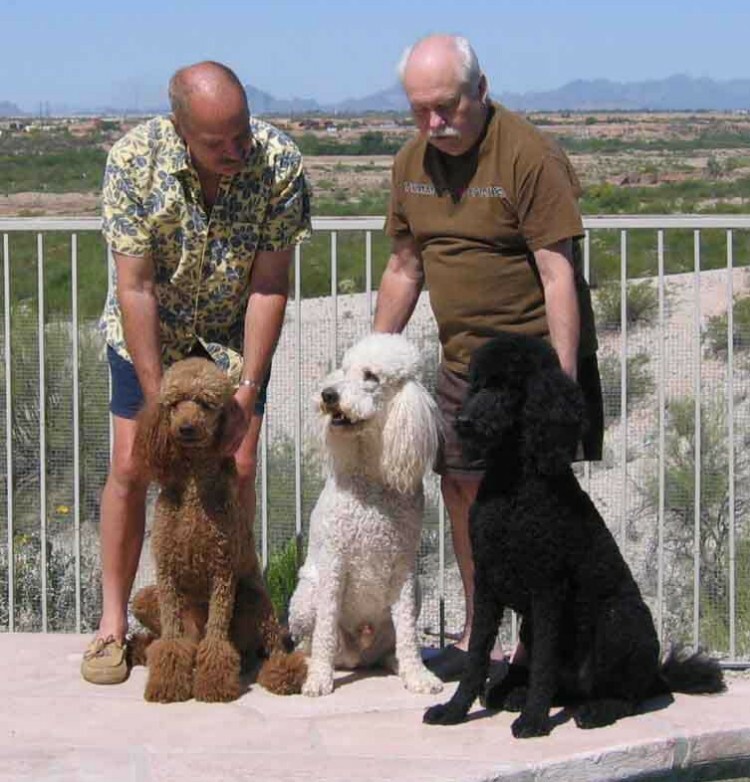 Lucas lives with two other standard poodles Tyler and Maggie and our friends Dominick and Chuck here in Tucson. Dom and Chuck are shown with the "French terrorists" here. Left to right are Maggie, Tyler and Lucas. Click here for more pictures of the three of them. "Lucas has health issues. He's had Valley Fever, has thyroid problems and has seizures. He's on 4 kinds of meds three times a day so that keeps us on a pretty tight schedule. He's the most lovable of the three."